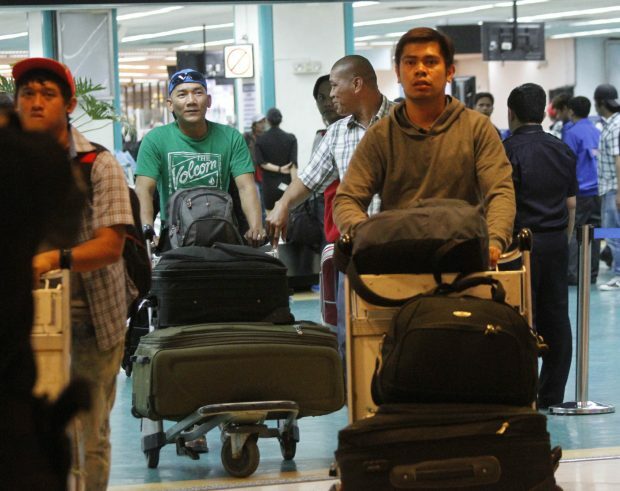 The Philippine government again imposed a total deployment ban of overseas Filipino workers (OFW) to the Libyan capital of Tripoli and nearby areas on Wednesday, April 10. Labor Secretary Silvestre Bello III said that the decision was made when the Philippine Overseas Employment Administration (POEA) Governing Board met Wednesday afternoon, due to the war in Tripoli. “The POEA Governing Board in a meeting duly convened resolves and it is hereby resolved, after consulting with the Department of Foreign Affairs (DFA), hereby enforces a deployment ban on the processing and deployment of all OFWs, including crew chains and shore leaves of Filipino seafarers, in Tripoli and areas within the 100-kilometer radius of the capital, as identified in the DFA Bulletin,” Bello read the resolution in an interview with the DZMM. The labor chief said the decision is effective immediately. A copy of the resolution has yet to be made available to the media. The decision was made as the crisis alert in Libya was raised to Alert Level 3.